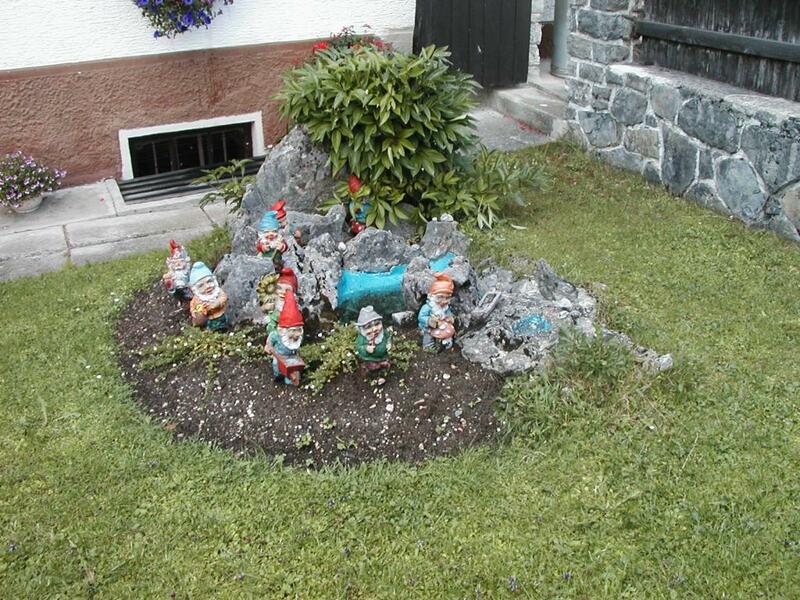 Garden gnomes in front of a house in Reutte-in-Tirol. We spotted these on the walk back from the Ehrenberg ruins. Garden gnomes are very popular in Germany, but most people have only a couple. Photo by Pat.